Robert Reid McKinley, age 70 of Bridgeport, passed away Tuesday, March 6, 2019 in Bridgeport. He was born November 1, 1948 to Kenneth and Gladys (Hobbs) McKinley. Rob graduated from Bridgeport Township High School. Then, he graduated from Illinois State University with a teaching degree. He taught for a few years then moved back home and began working at local banks. He worked in local banks for many years until his retirement. Throughout his career and beyond his retirement, Rob provided color for Red Hill Saluki and Lawrenceville Indian basketball and football games on WAKO Radio. He thoroughly enjoyed local sports. For the last few years Rob assisted with visitations and funerals at the Cunningham Funeral Homes. Rob was a long-time member of the First United Methodist Church in Bridgeport. He was very active within the church activities. The church family was his family in many ways. Surviving family includes: his four cousins and their families- Beth Slezak of Wisconsin, Amy Nelson of Alabama, Jennifer Blanchette of Minnesota, and Leah Stevens of Illinois. He was preceded in death by his parents, Kenneth and Gladys McKinley. A funeral service for Robert Reid McKinley will be held at 1:00 p.m. on Monday, March 11, 2019 at the First United Methodist Church in Bridgeport. Visitation will take place at the church from 11:00 a.m. until service time at 1:00 p.m. Burial will take place in the Lawrenceville City Cemetery. Cunningham Funeral Homes of Bridgeport is handling the arrangements. Memorial contributions can be made to the First United Methodist Church directly or through the funeral home. 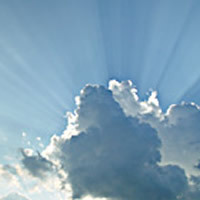 Online condolences can be sent to the family at www.cunninghamfuneralhomes.com.